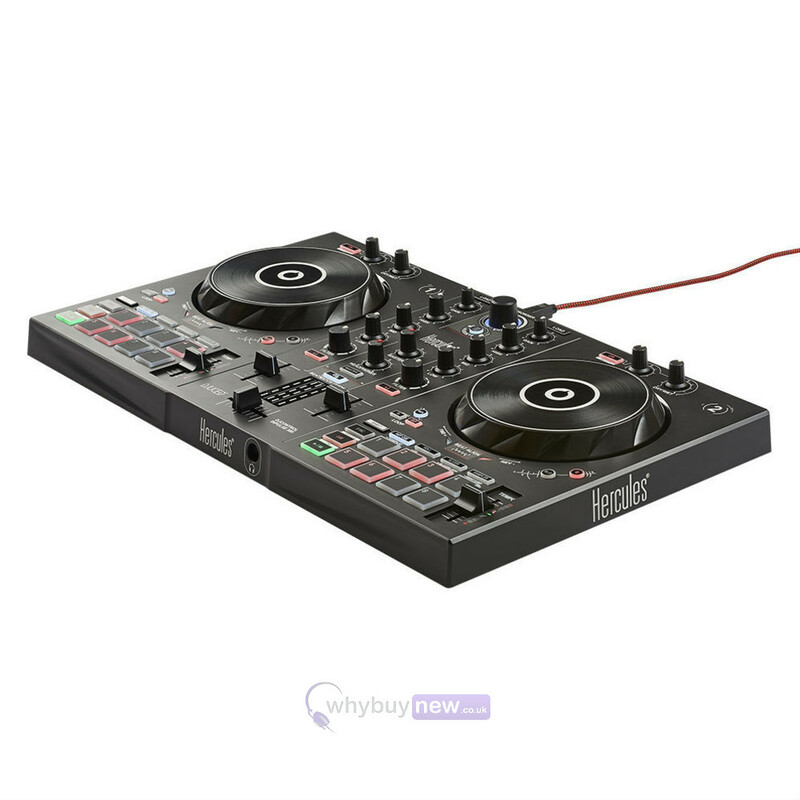 This is the Hercules DJControl Inpulse 300 - the ultimate beginner's DJ controller from Hercules that aims to introduce more people to DJing by creating easy-to-use hardware with all the basic components of professional-grade DJing equipment. 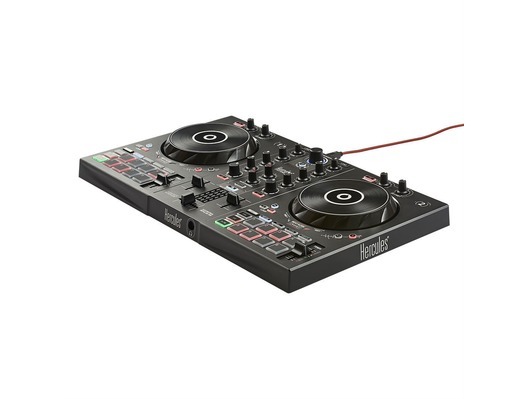 The Inpulse 300 will introduce you to mixing, beat-matching with jog wheels, faders and control pads that you'd find on a more advanced controller. 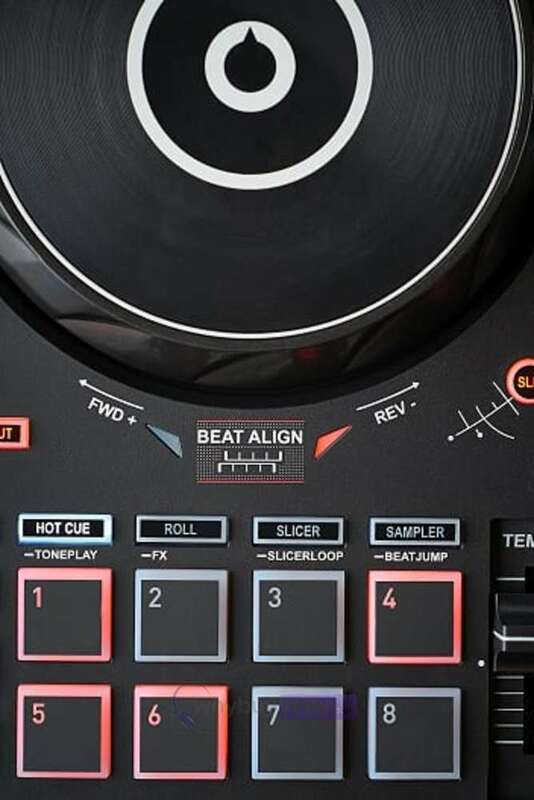 It also has unique guidance tools like light guides that will help you learn the right moves, the Intelligent Music Assistant that will help you choose the right tracks and the beatmatch guide that will help you to match beats in different tracks. 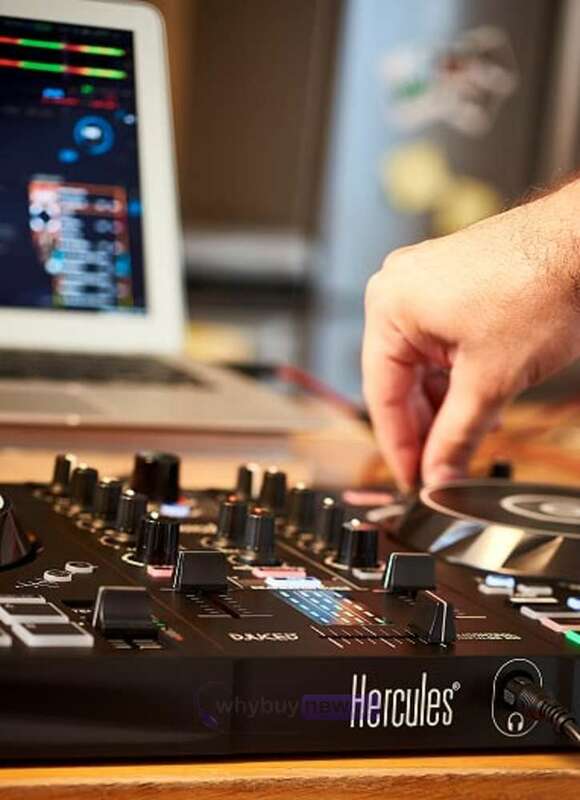 The Hercules DJControl Inpulse 300 comes with DJUCED; the perfect DJ software for beginners. Hercules introduces the first-ever range of DJ controllers to really learn how to mix. 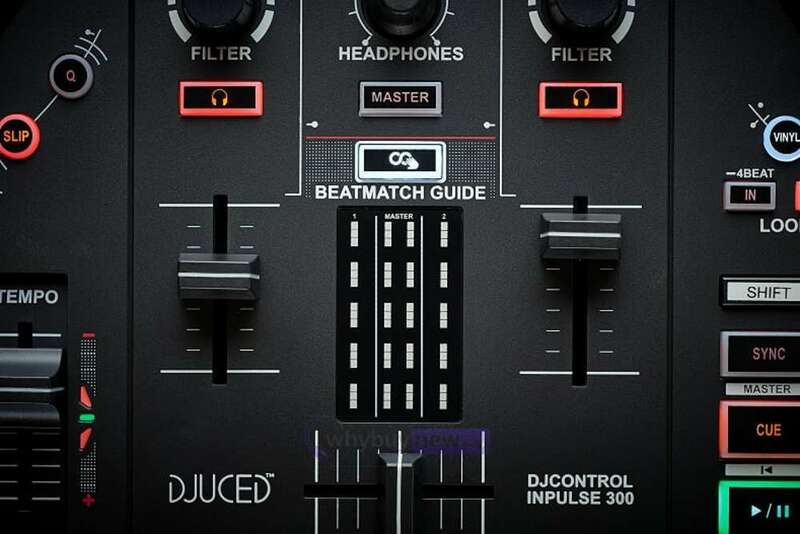 With the DJControl Inpulse 300, you will love to practice your listening skills and learn to master beatmatching manually. 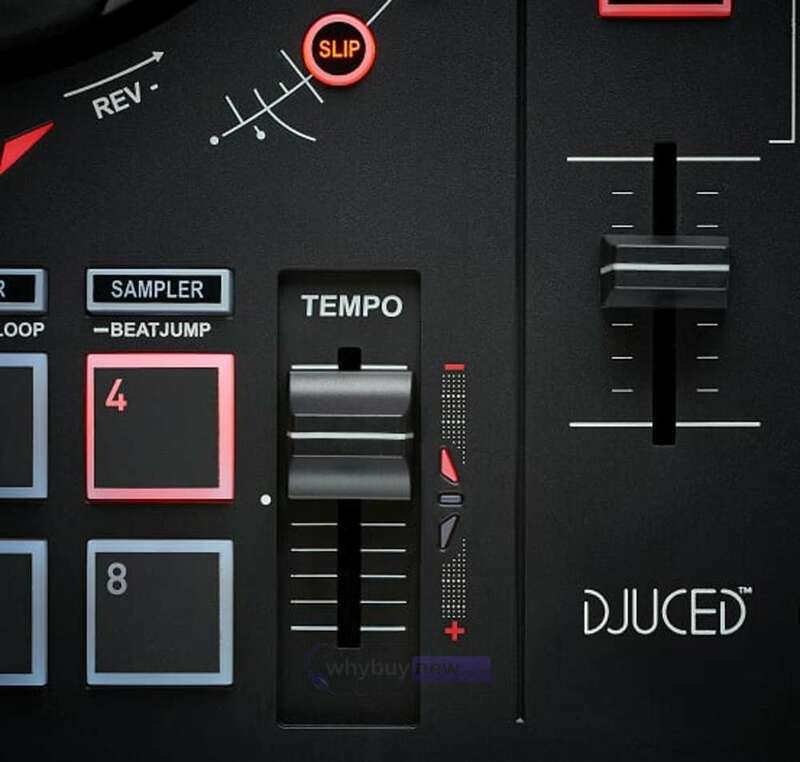 Start DJing easily and improve quickly with the help of exclusive features from the DJControl Inpulse 300 and its DJUCED software: light guides on the controller to learn the right moves, the Intelligent Music Assistant (IMA) to help you pick the best songs to play, the ENERGY feature to manage the party mood, and the DJ Academy with its onboard video tutorials. 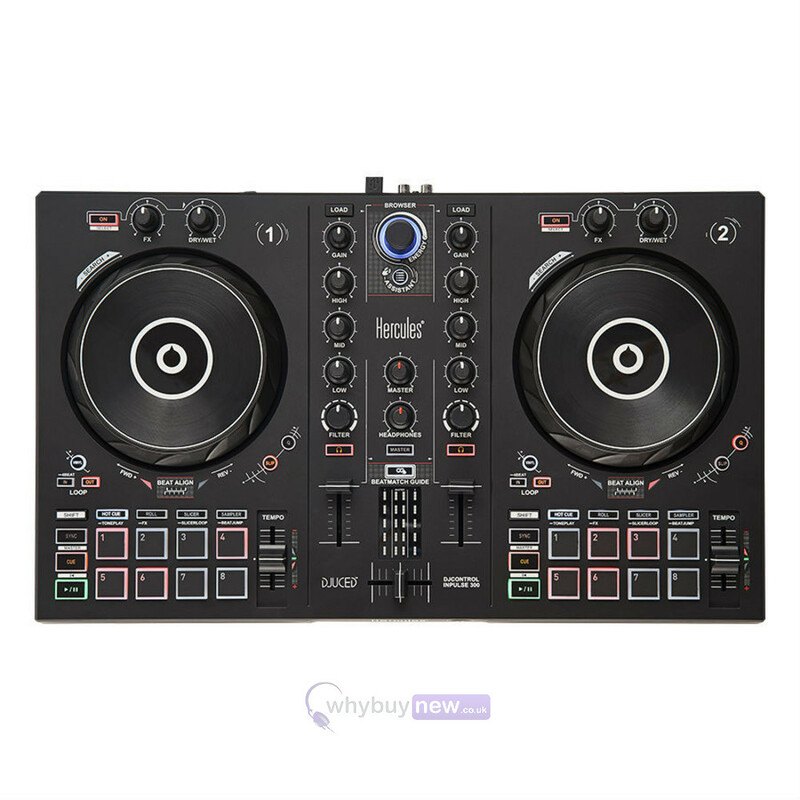 The DJControl Inpulse 300 also offers everything you need to perfect your mixing skills: 16 pads, 8 modes, large jog wheels, effects on par with pro controllers, and much more. VU meters per deck + master VU meter.